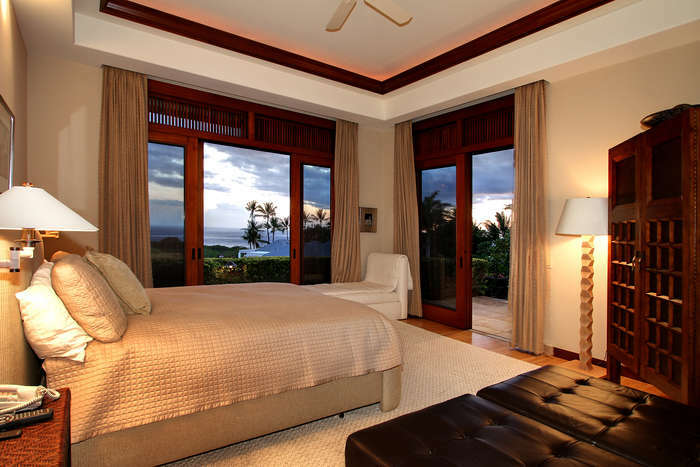 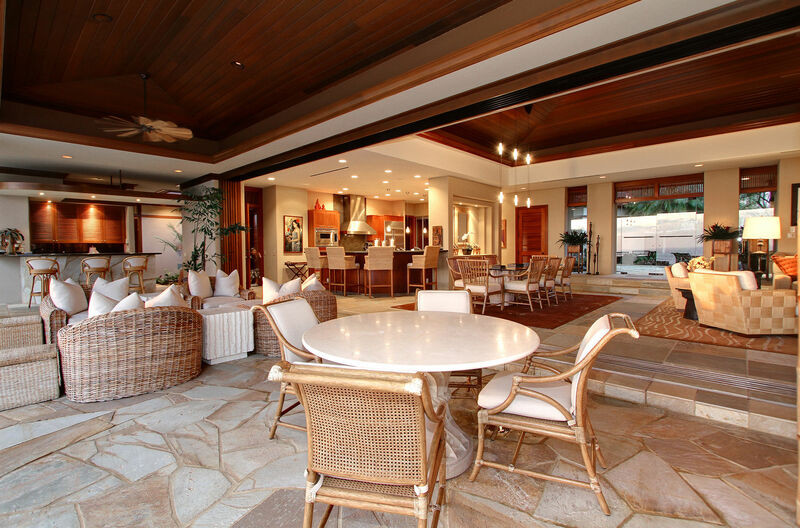 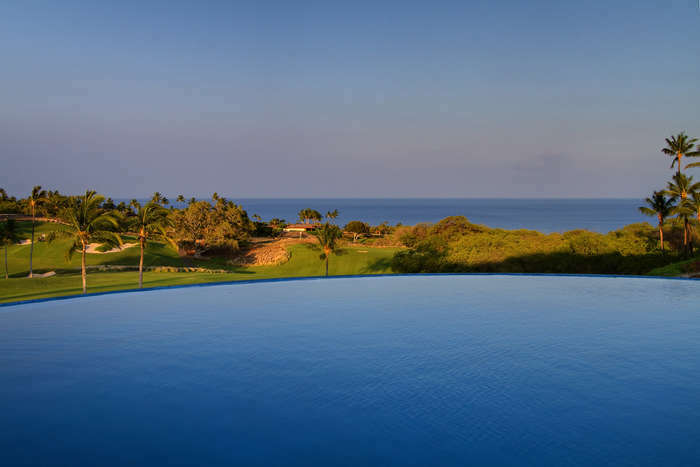 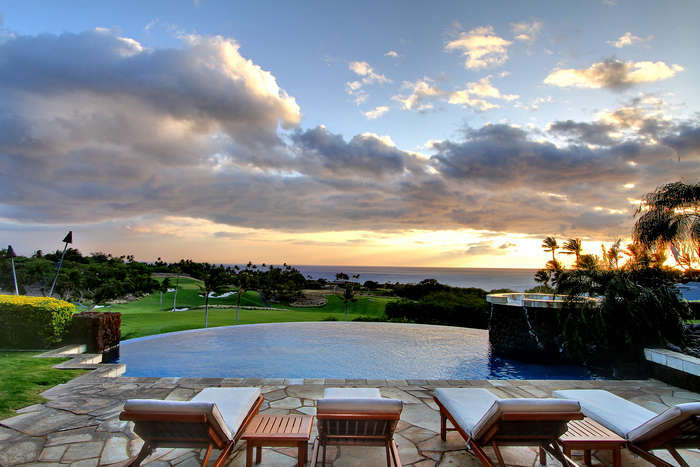 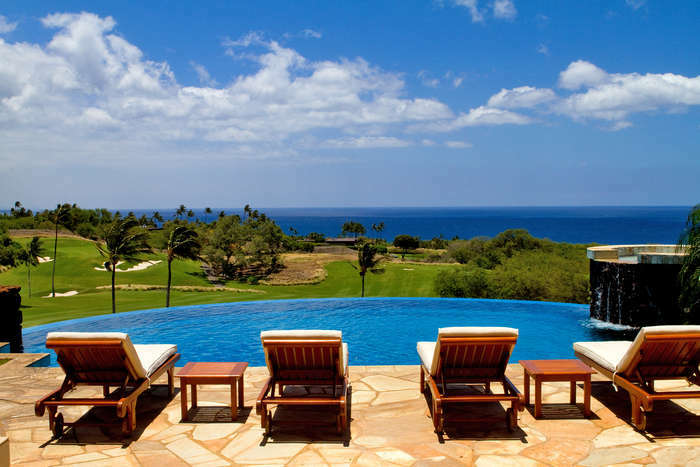 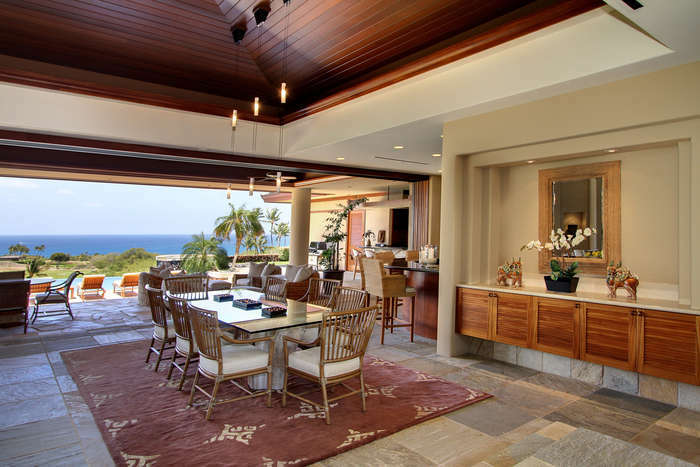 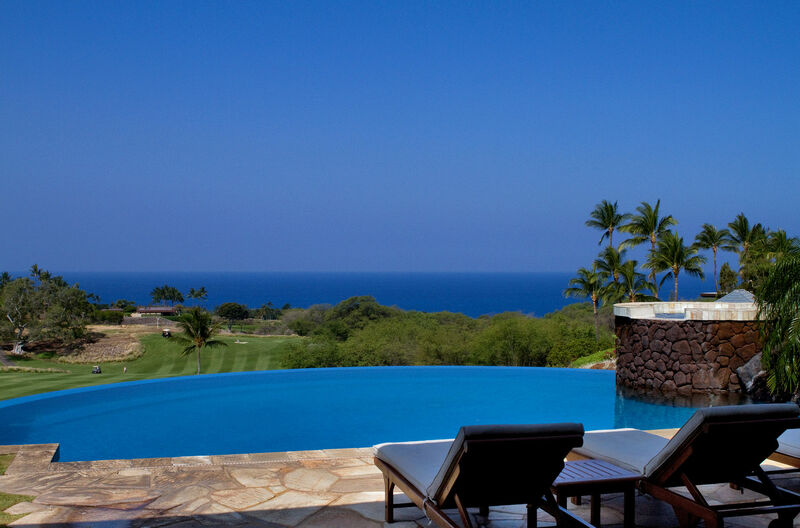 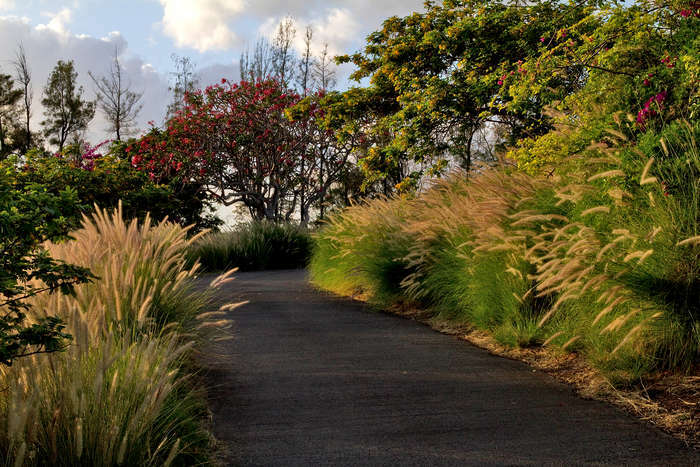 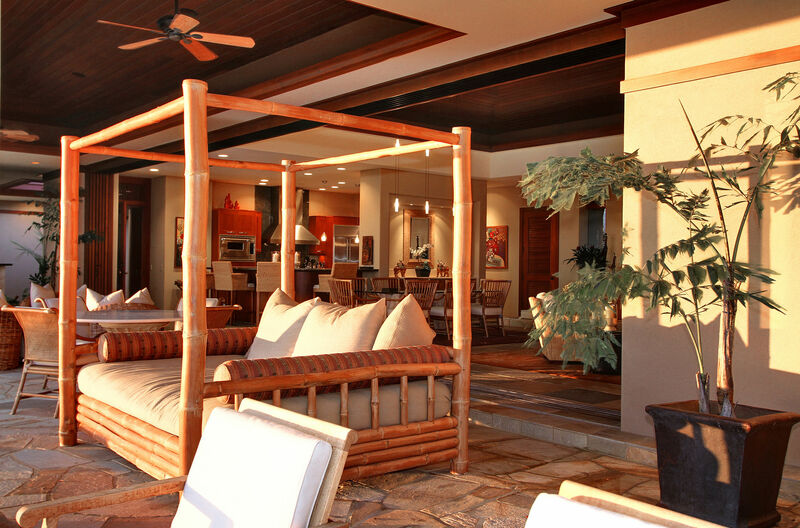 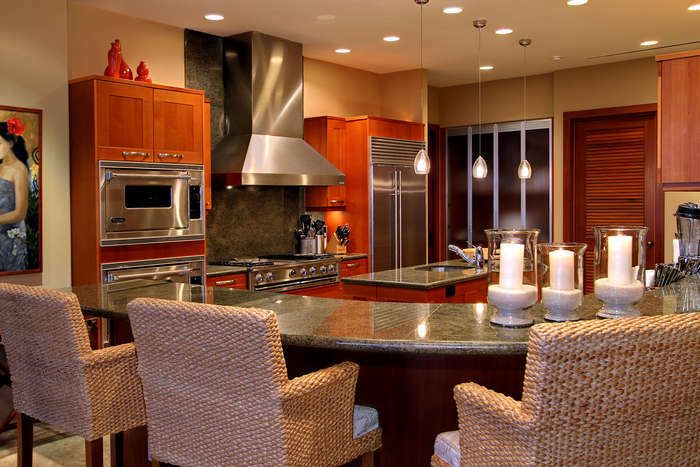 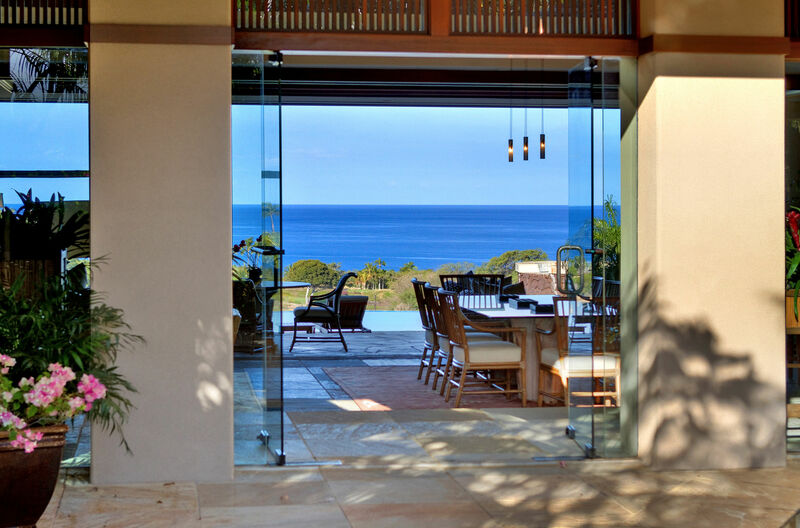 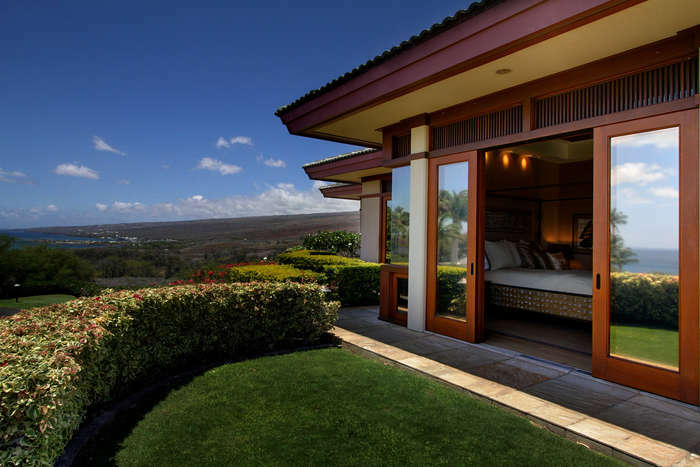 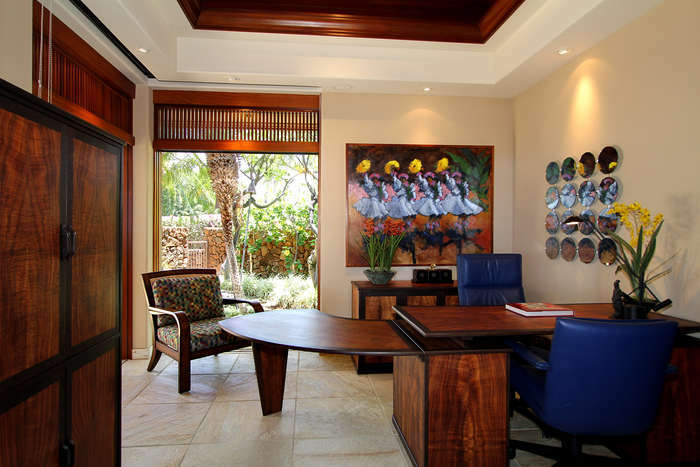 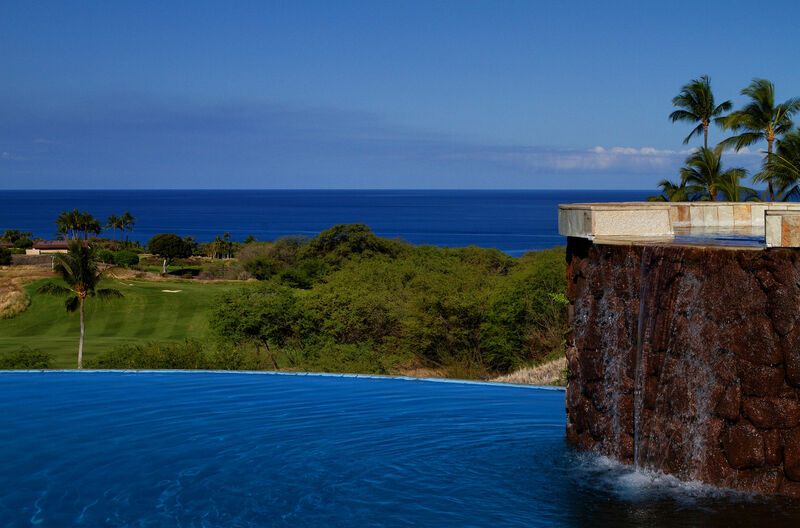 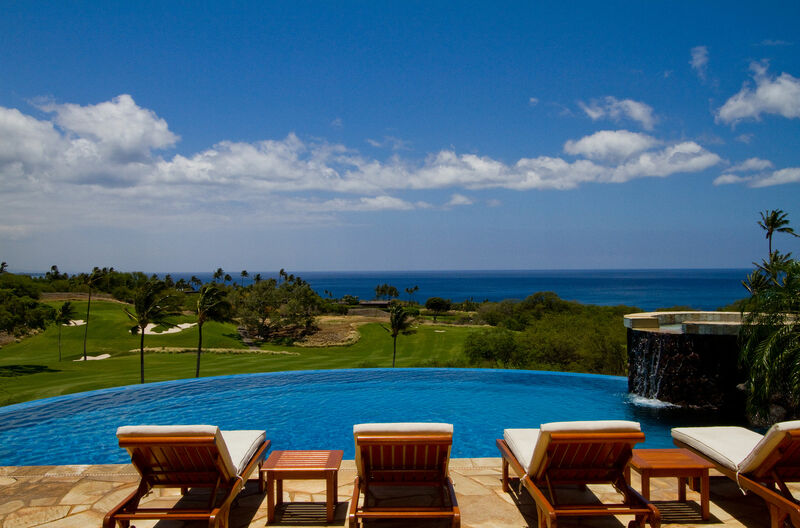 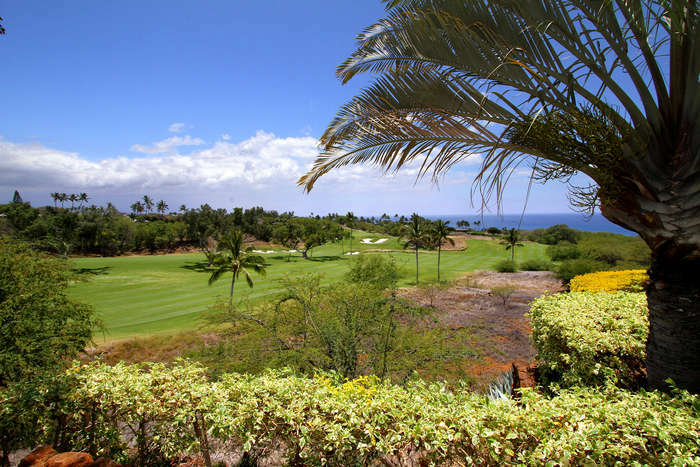 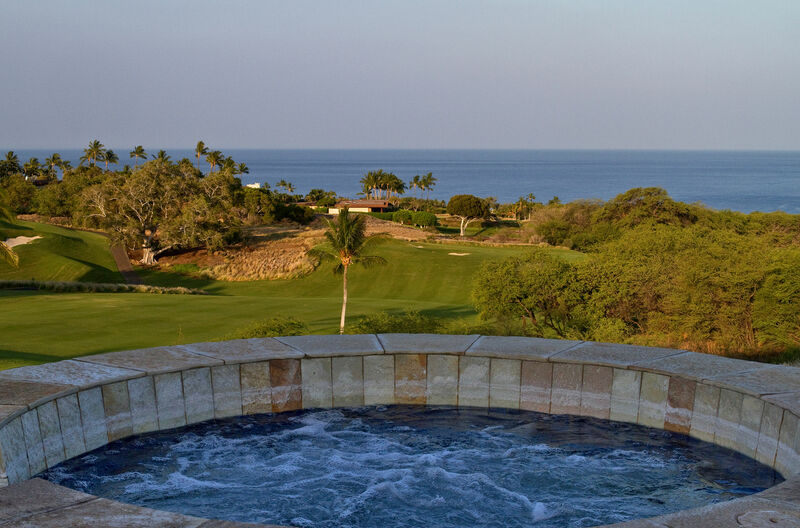 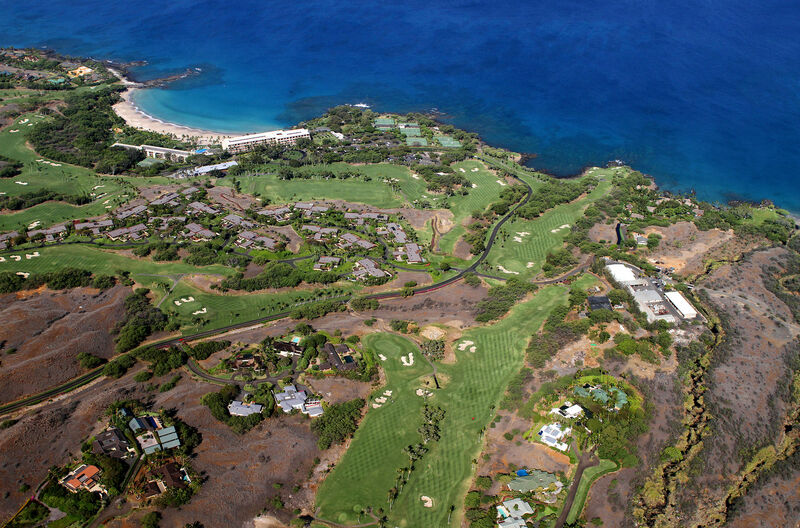 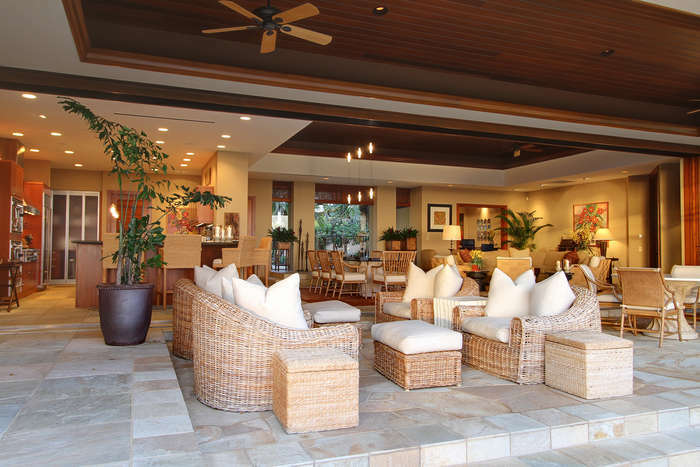 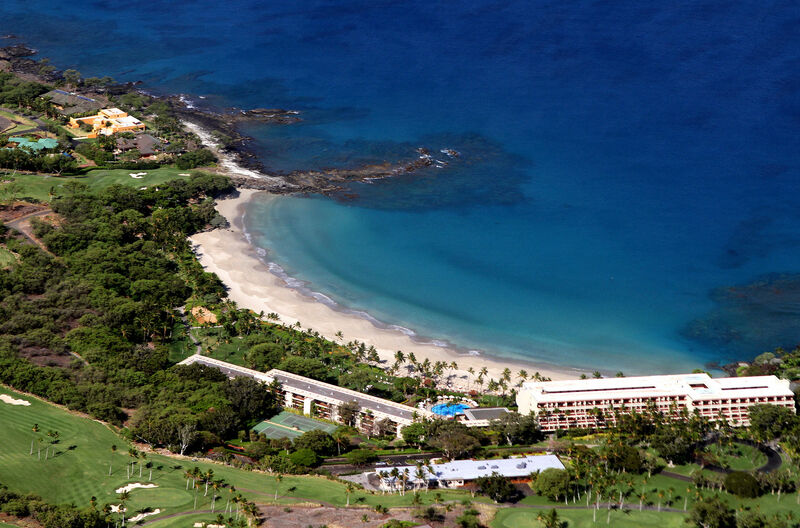 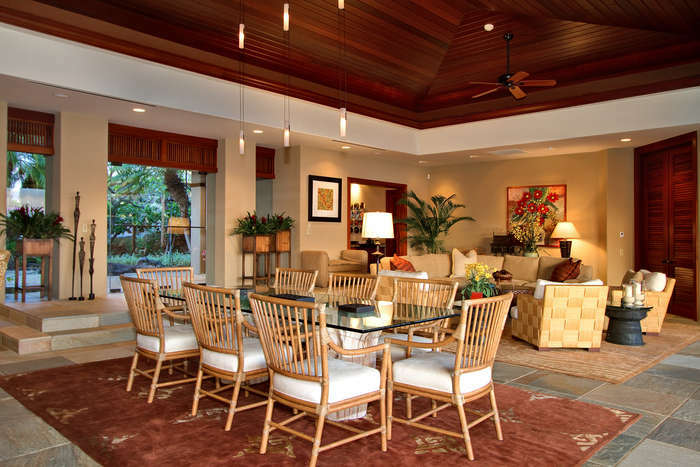 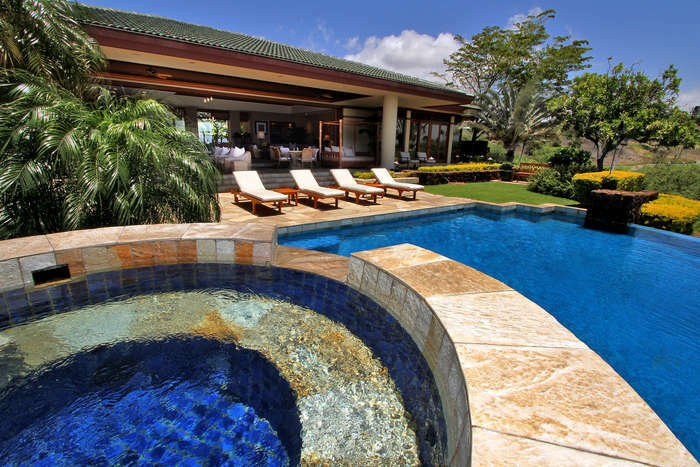 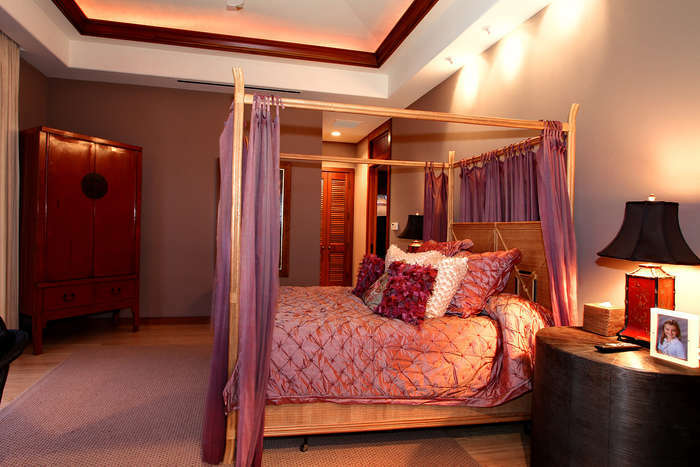 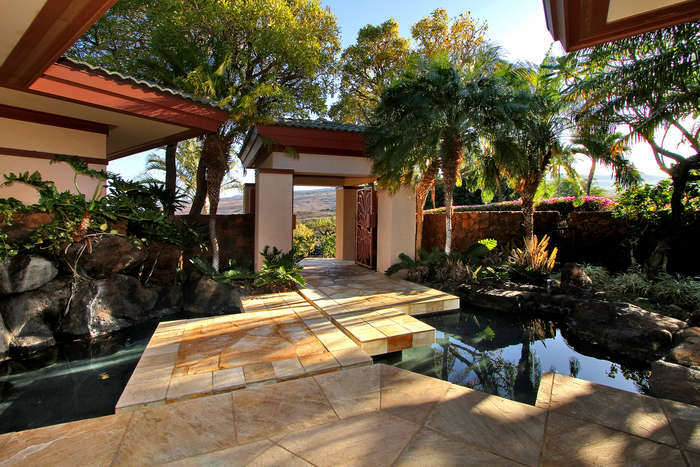 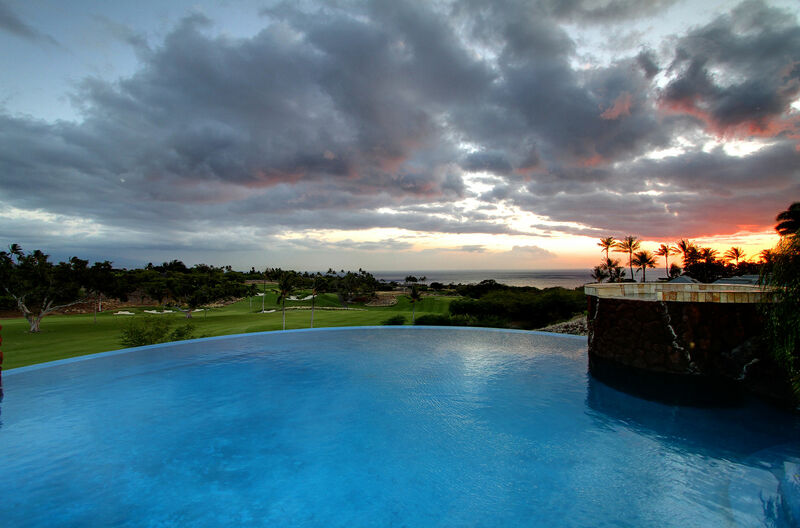 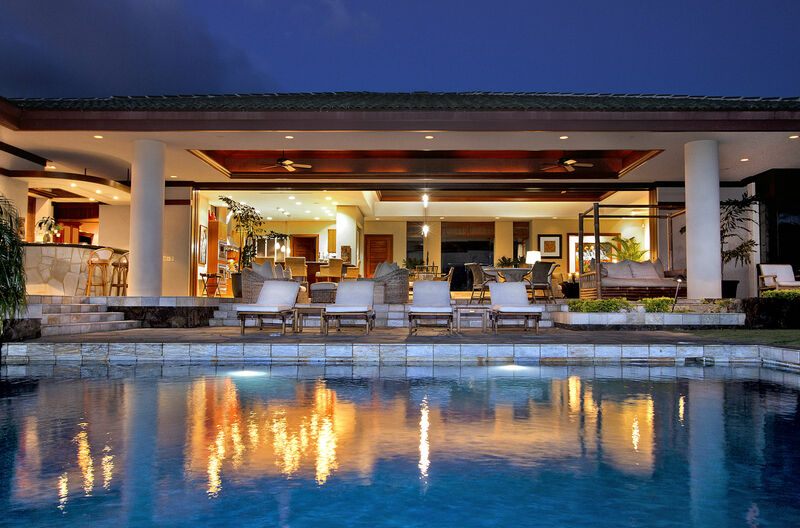 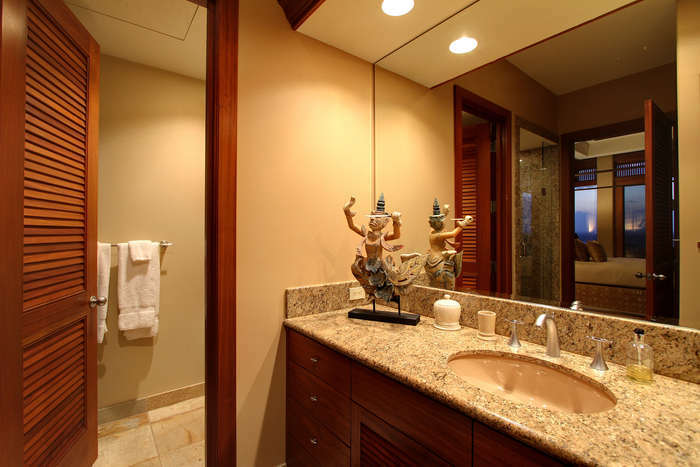 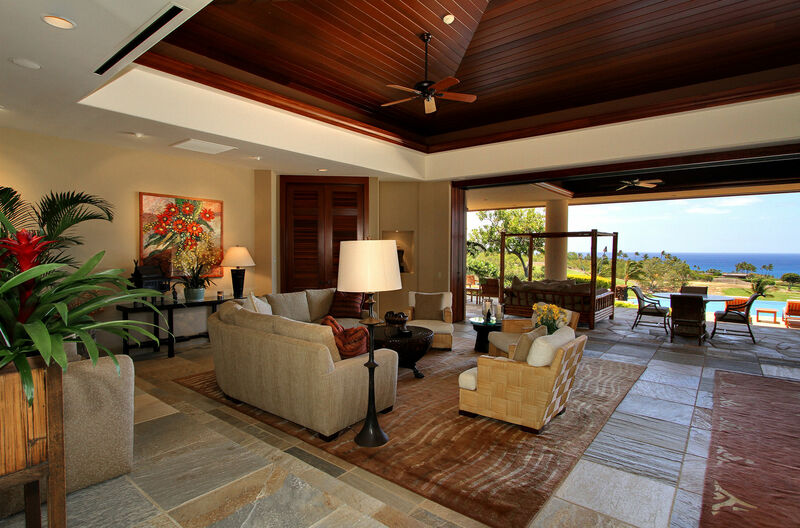 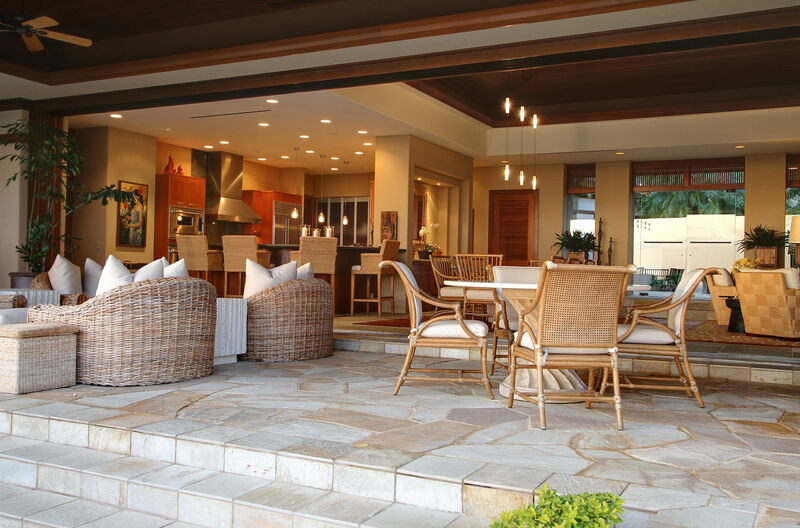 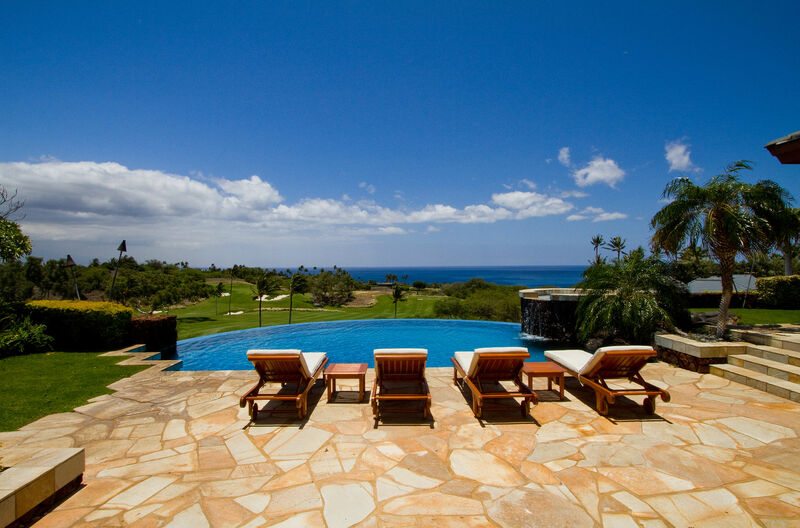 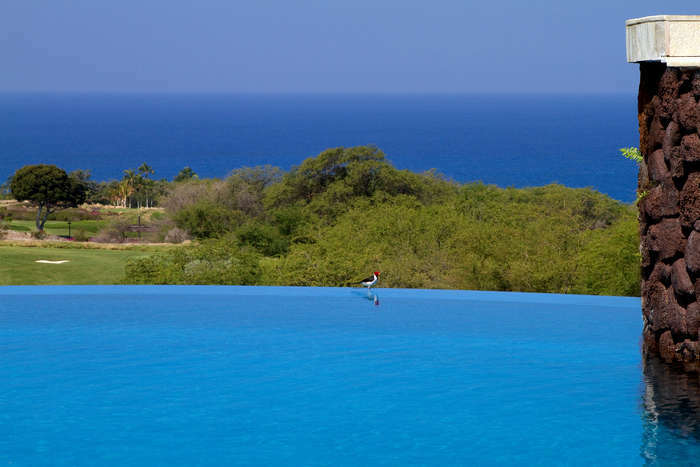 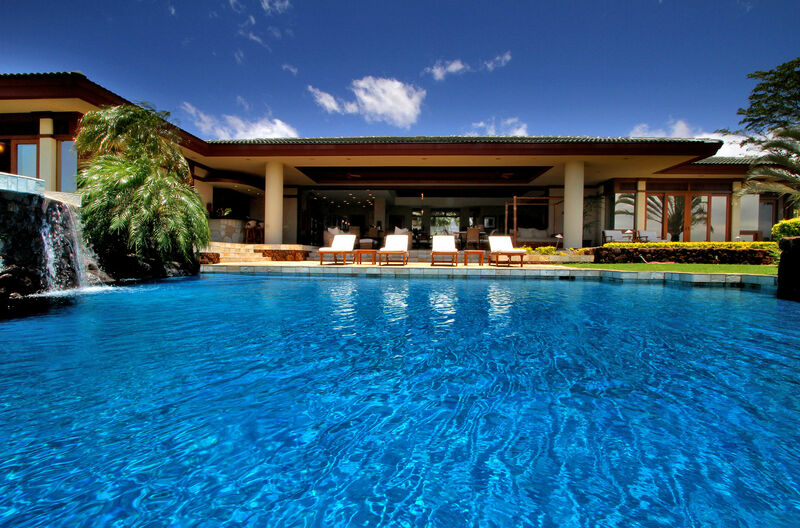 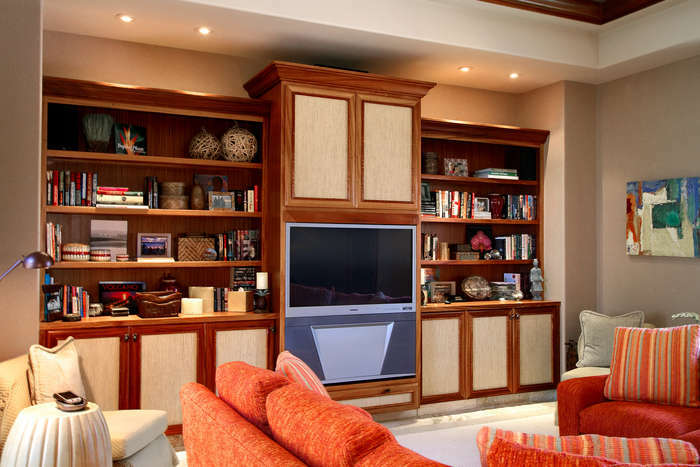 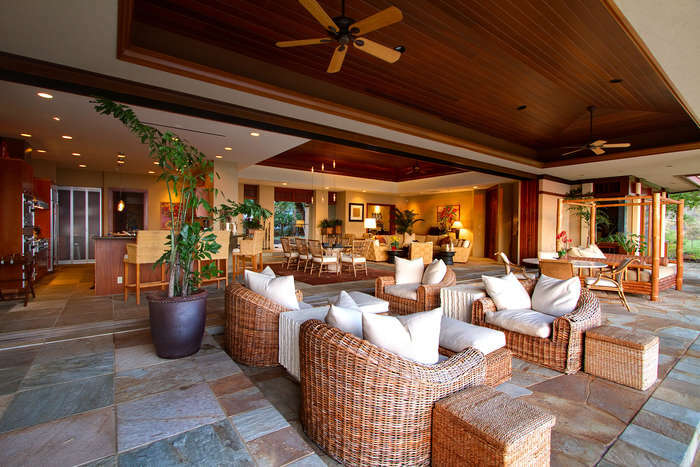 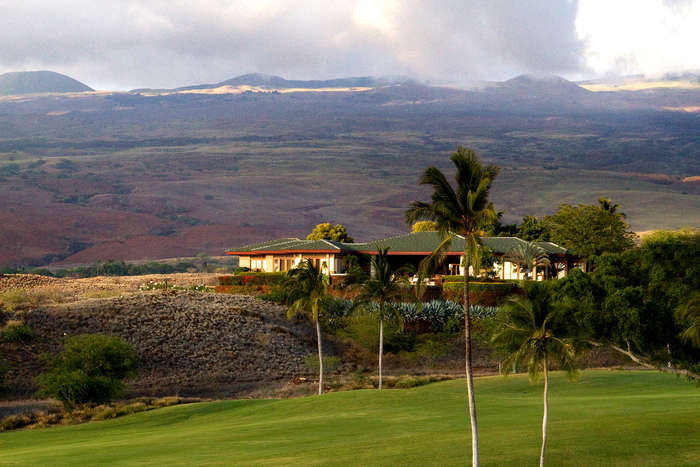 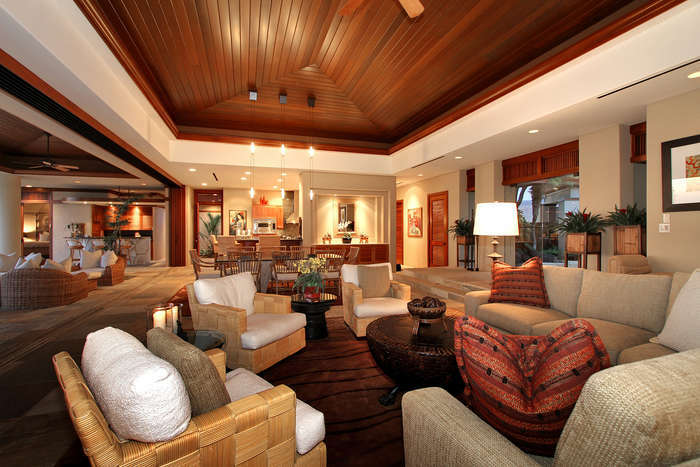 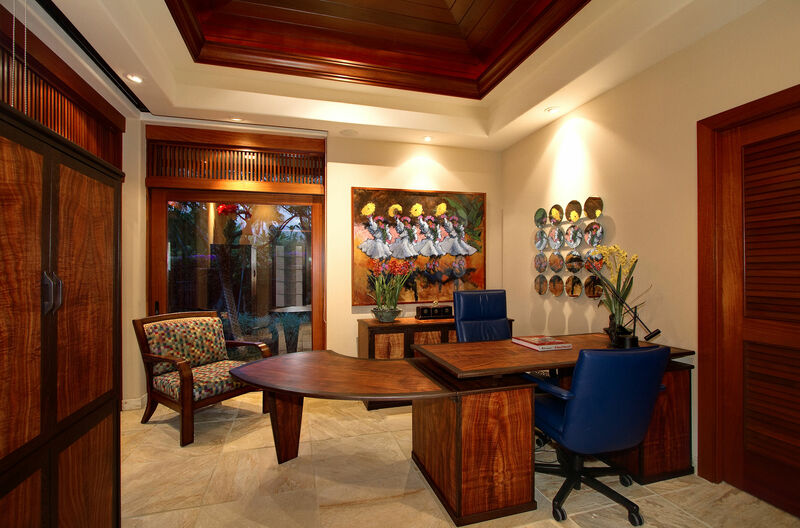 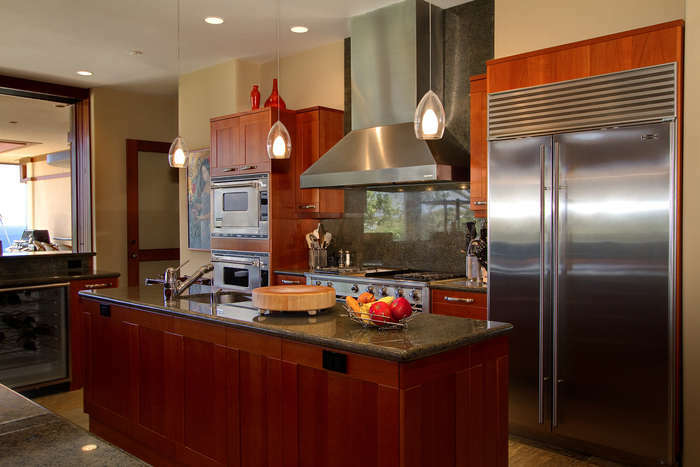 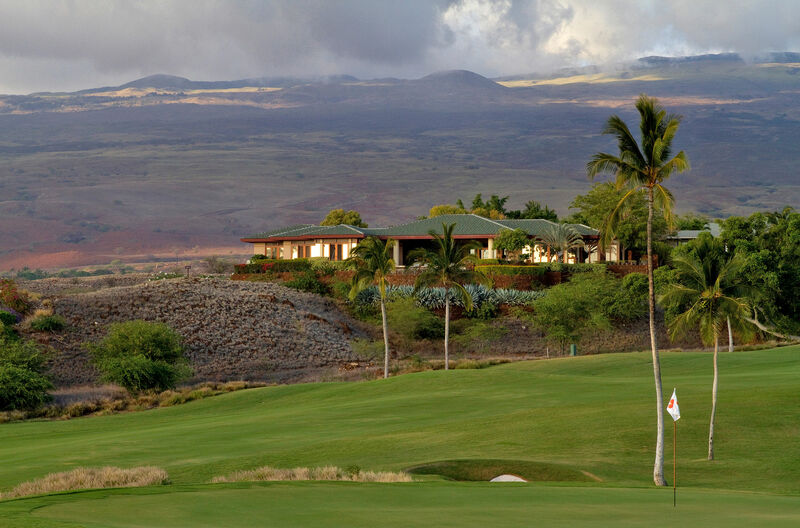 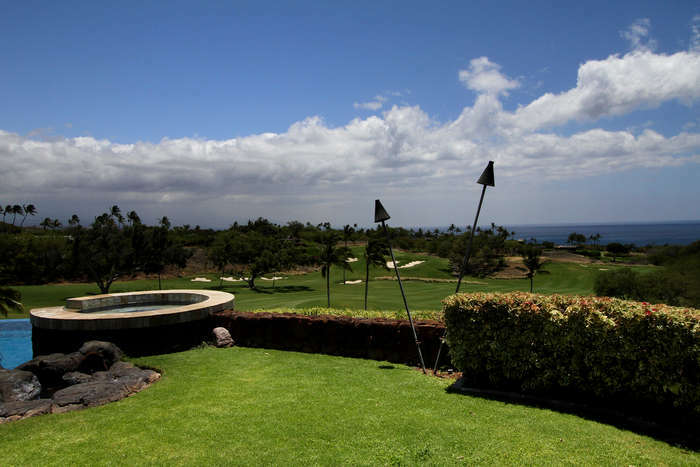 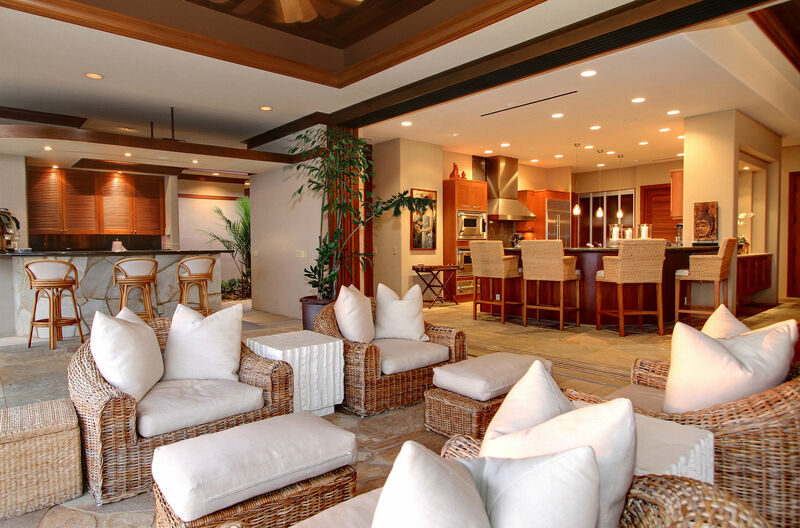 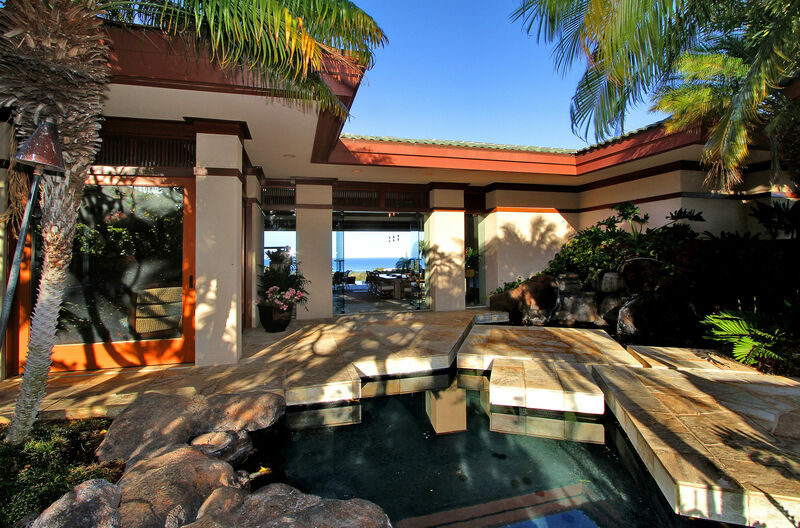 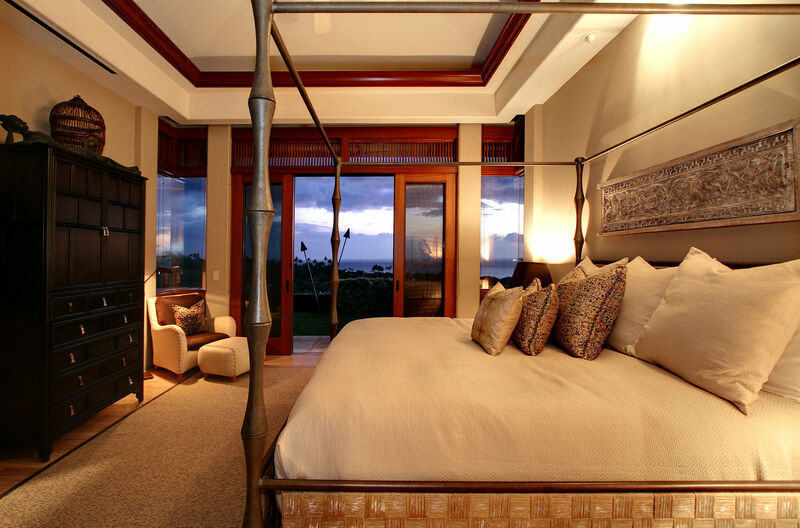 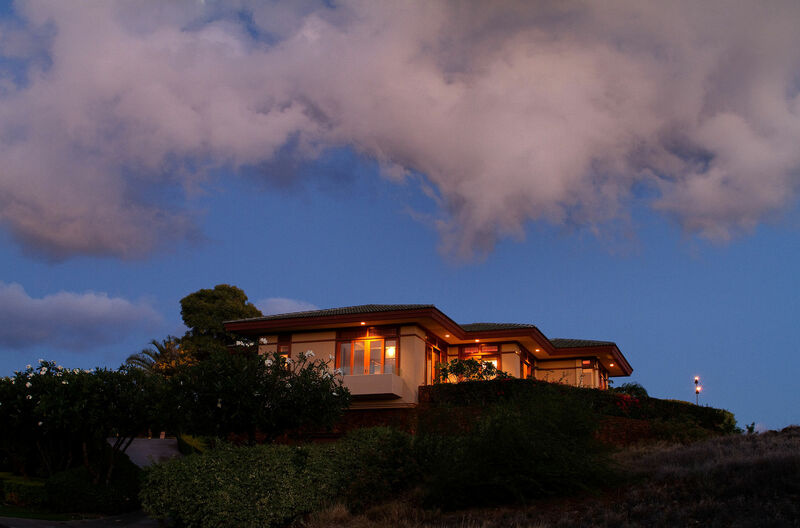 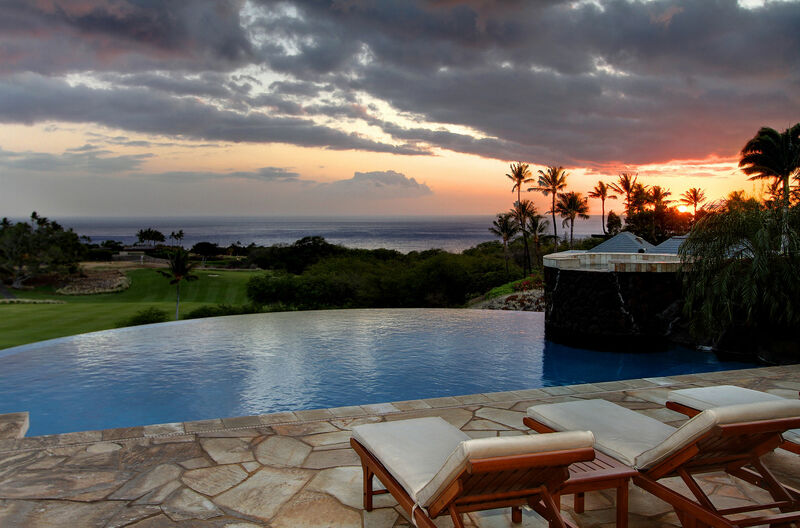 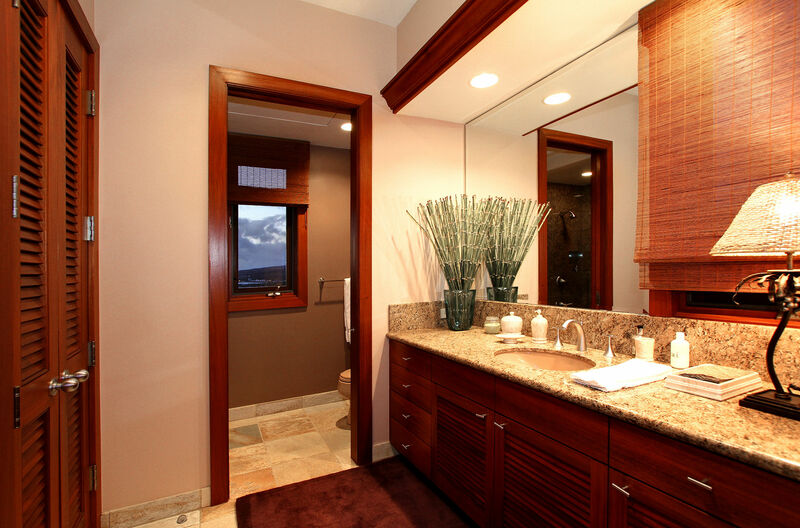 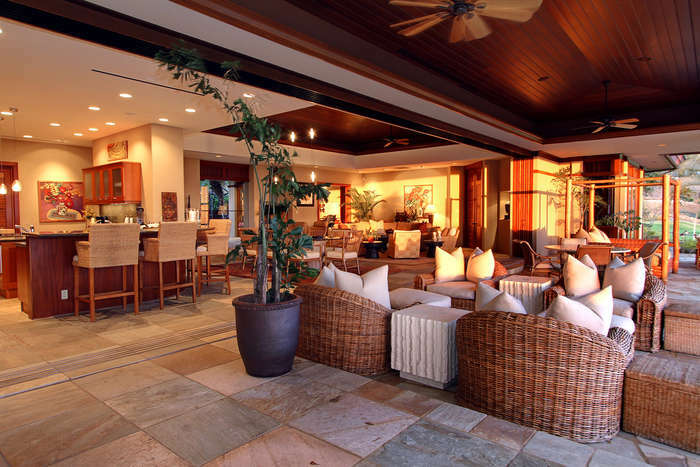 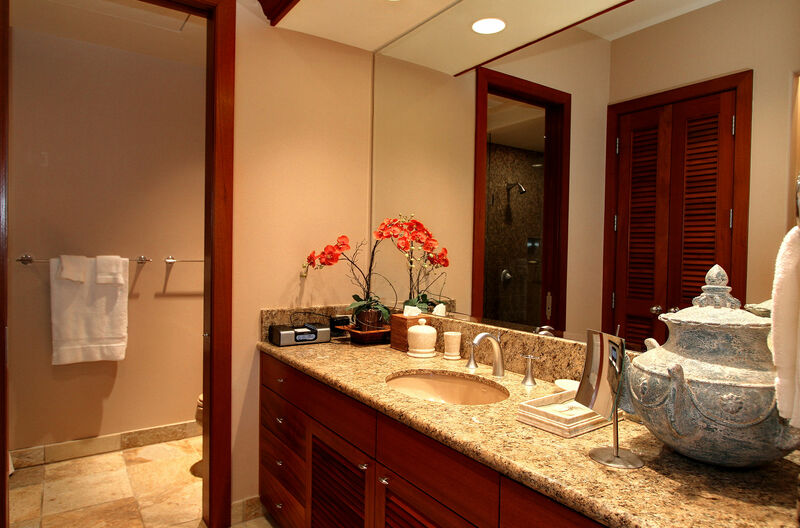 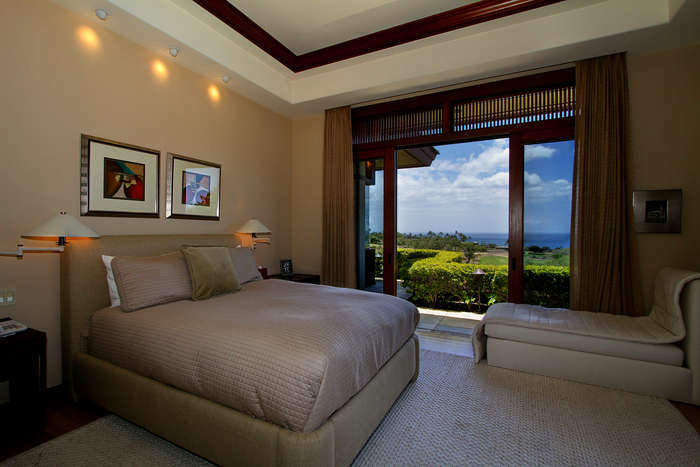 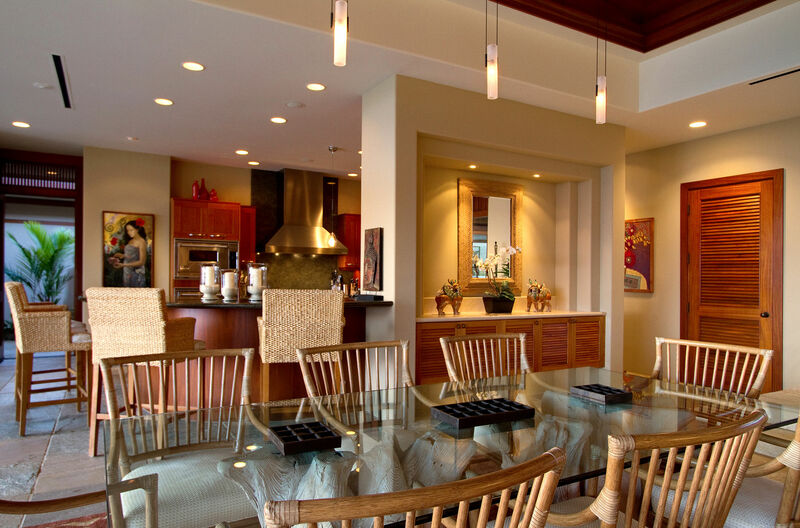 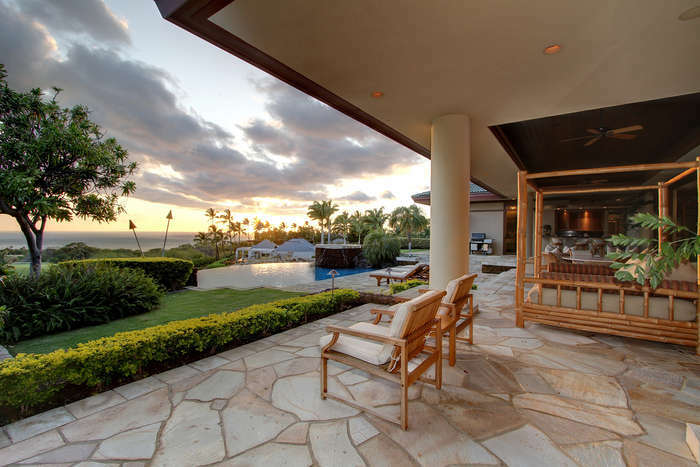 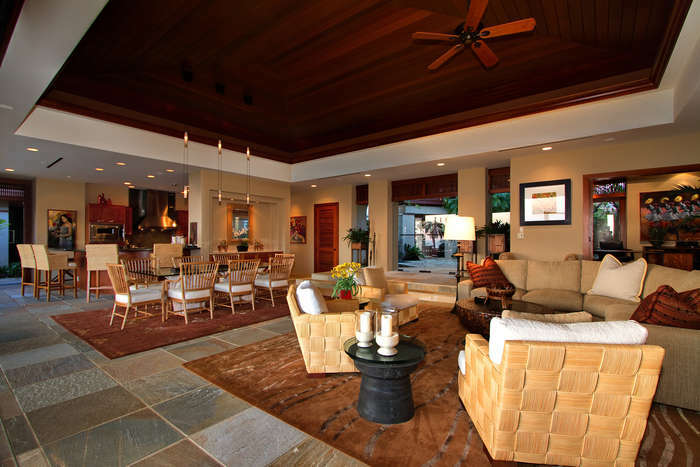 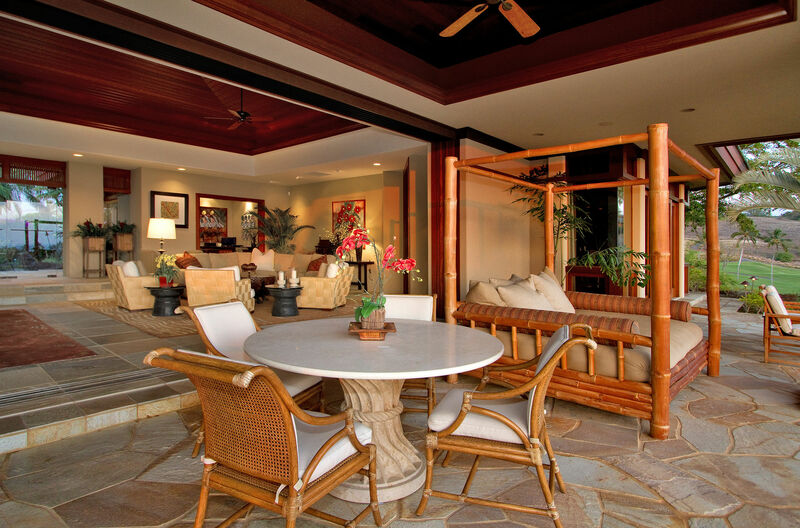 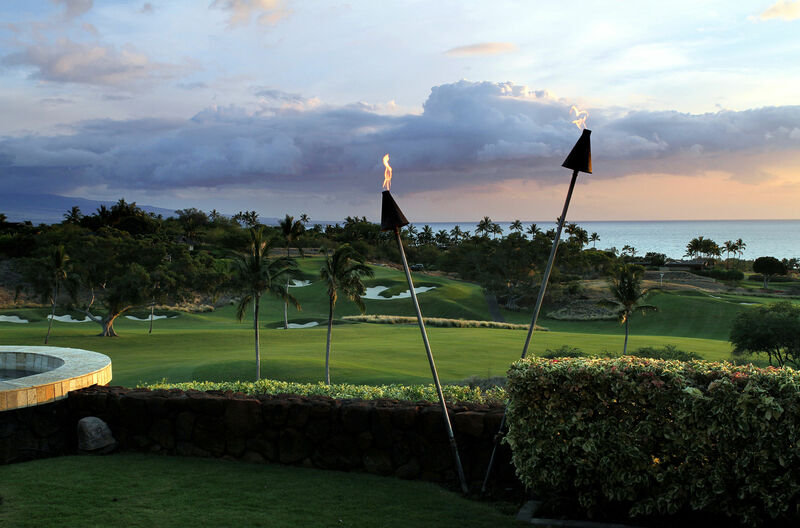 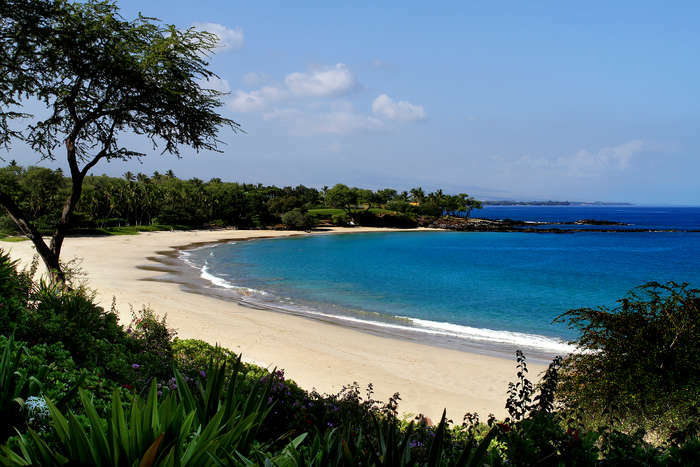 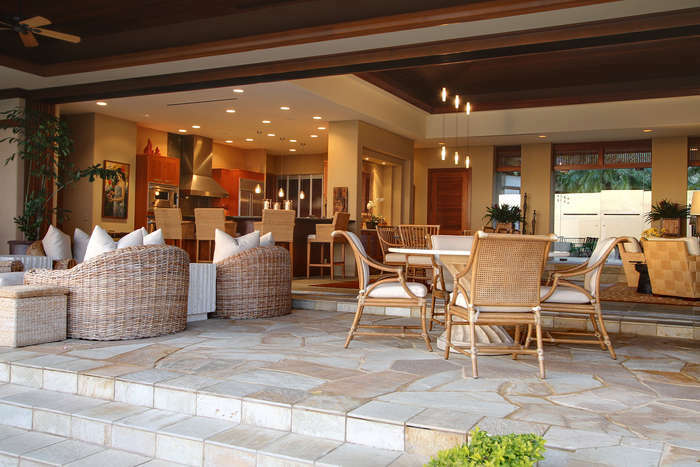 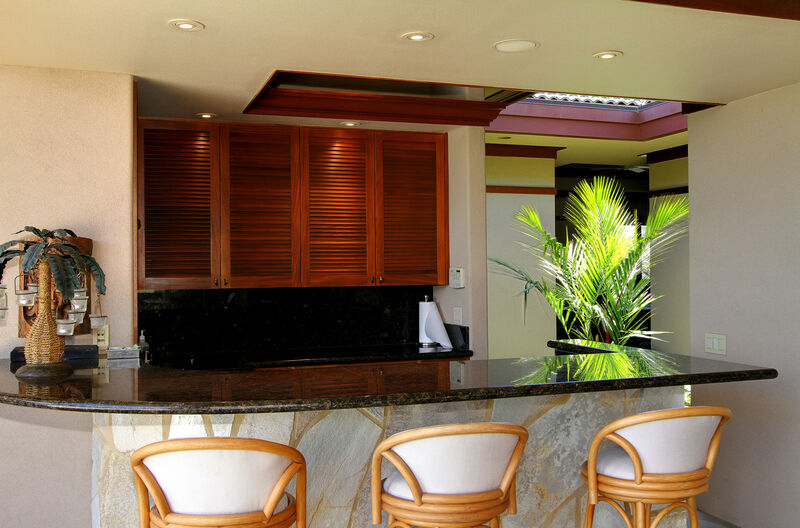 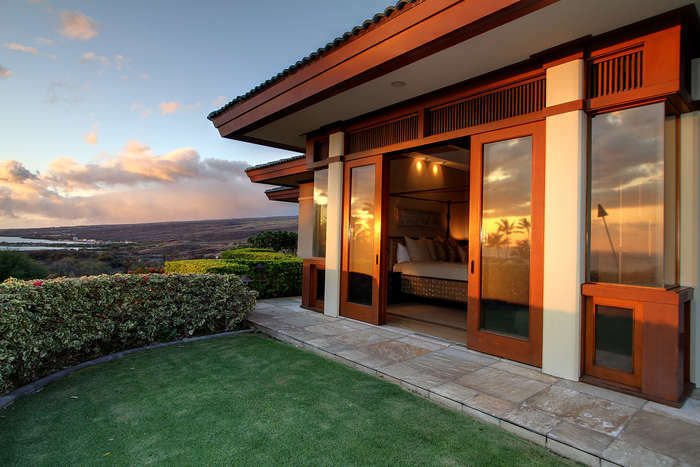 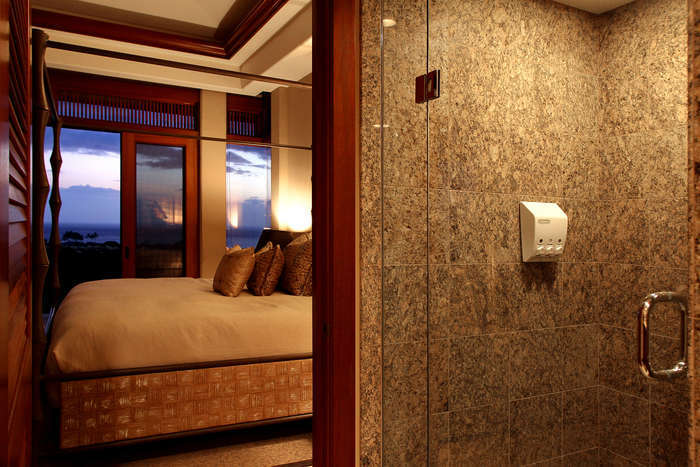 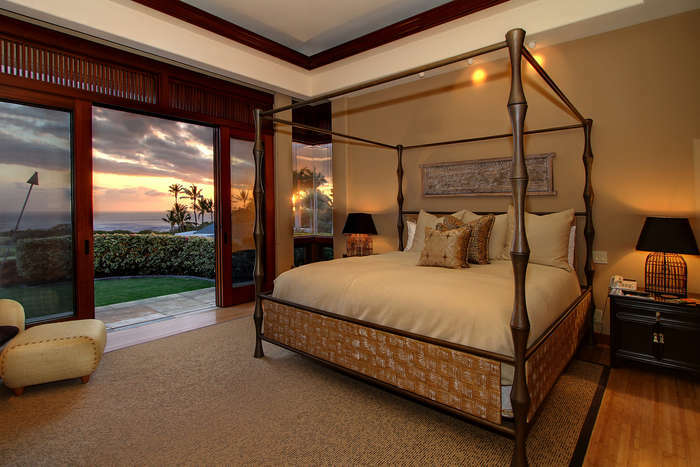 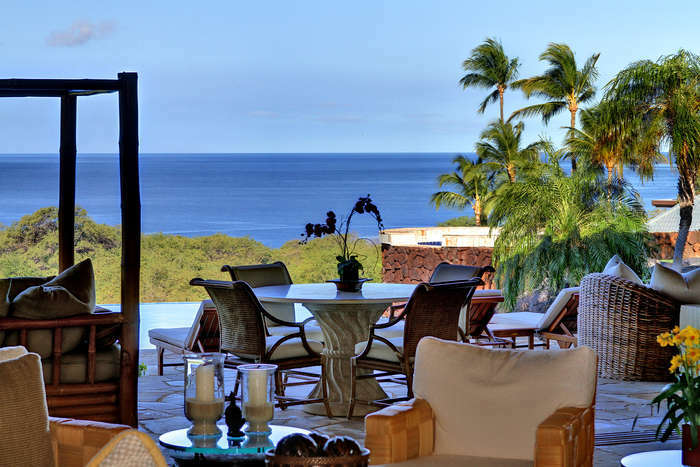 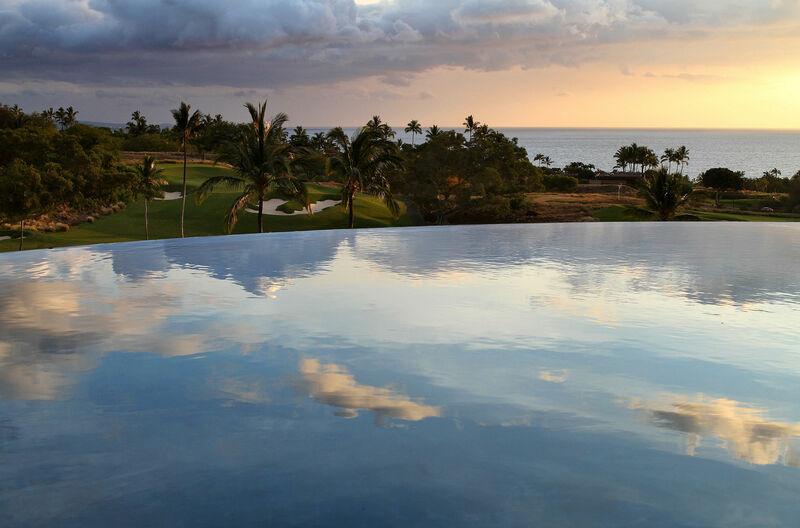 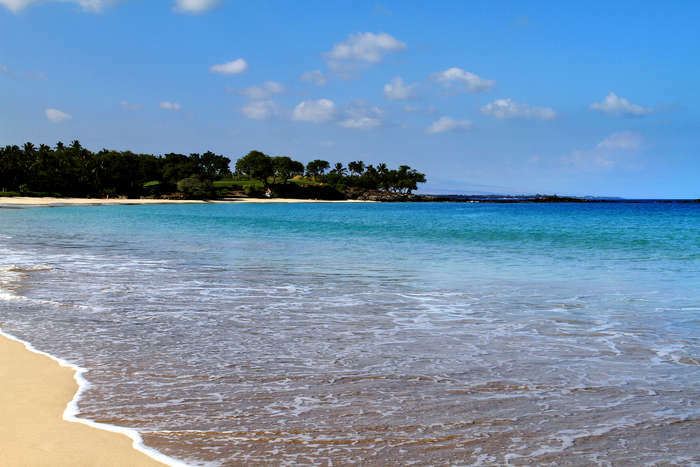 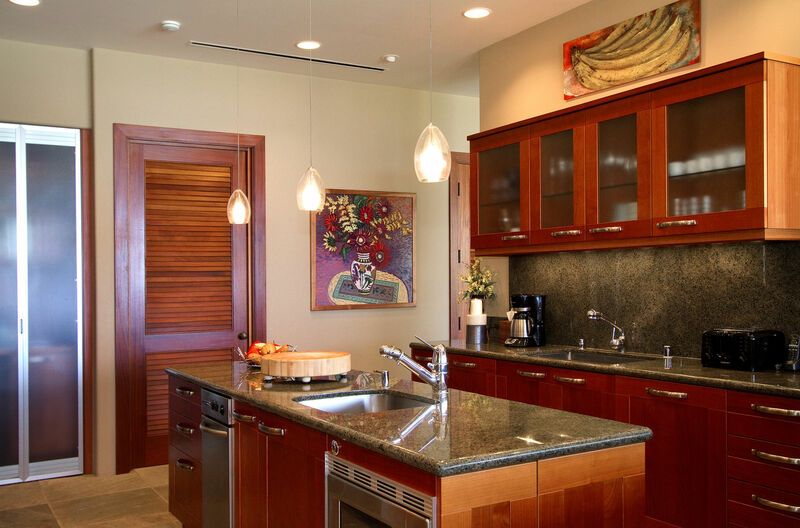 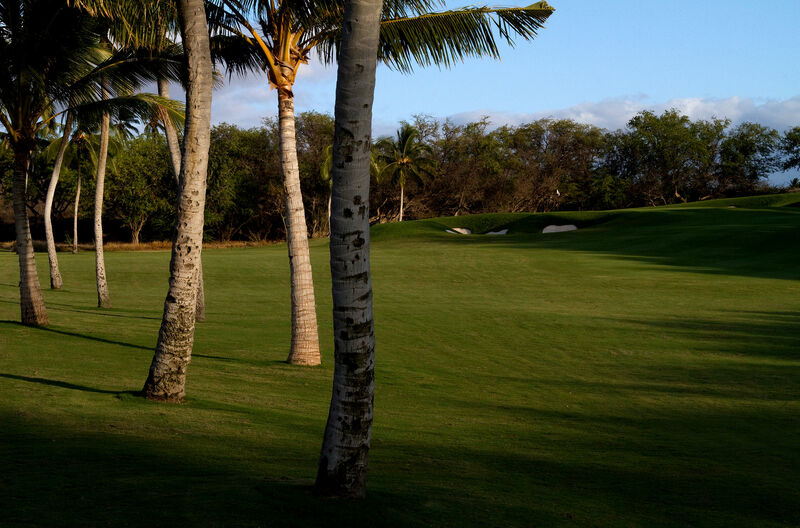 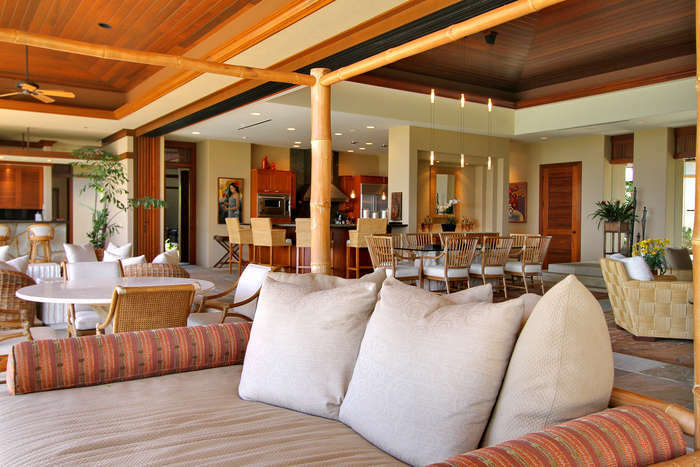 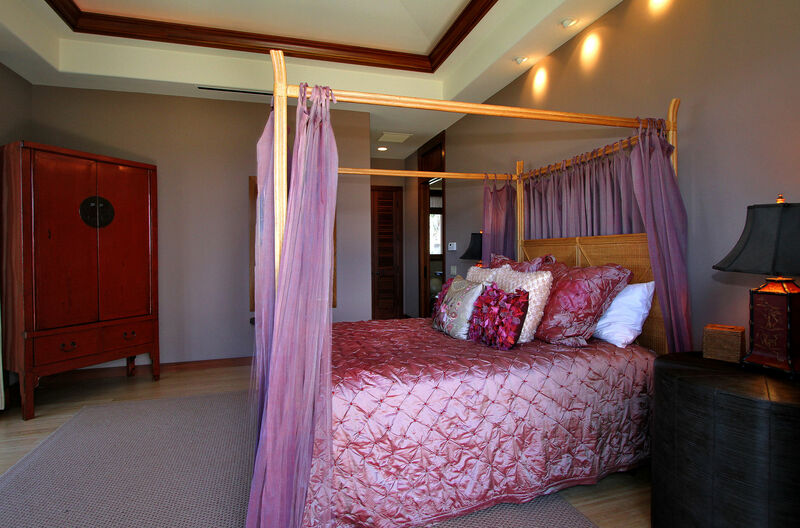 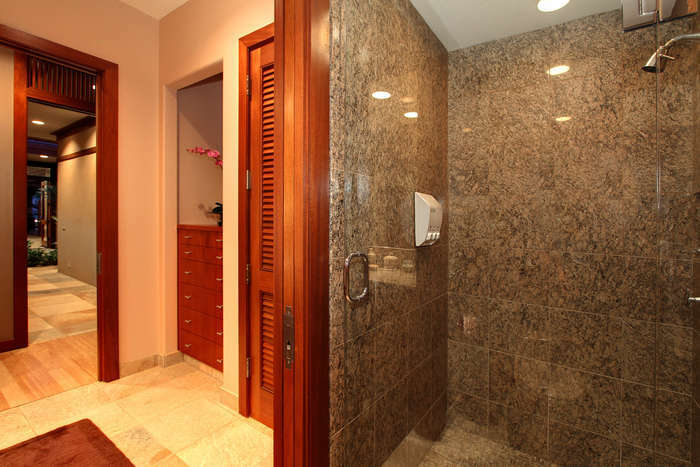 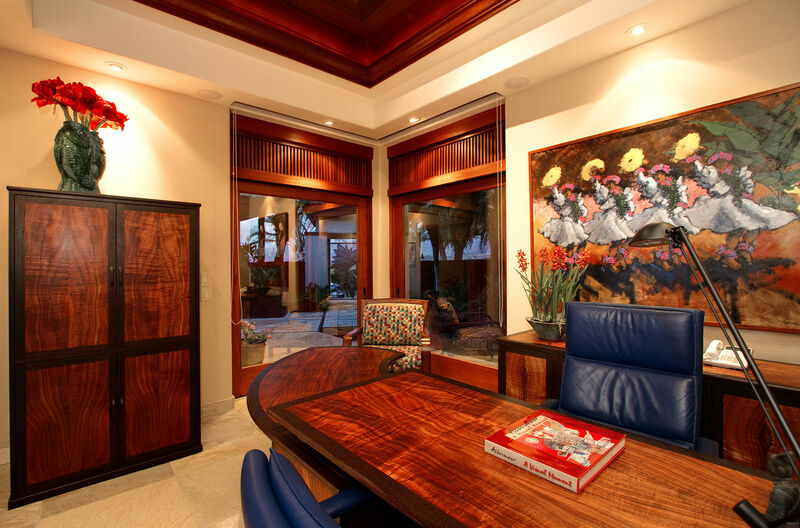 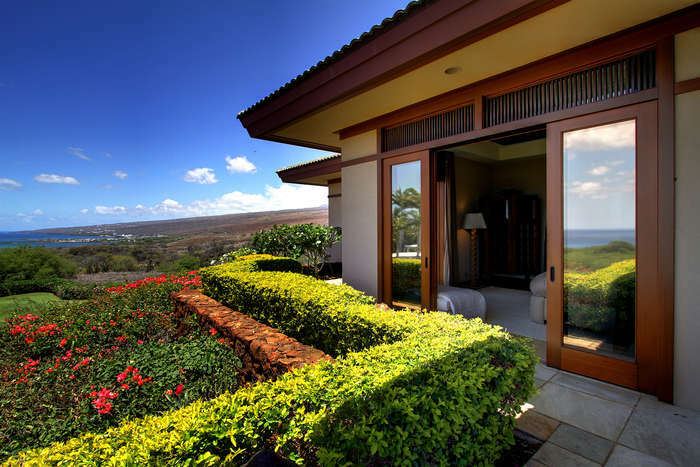 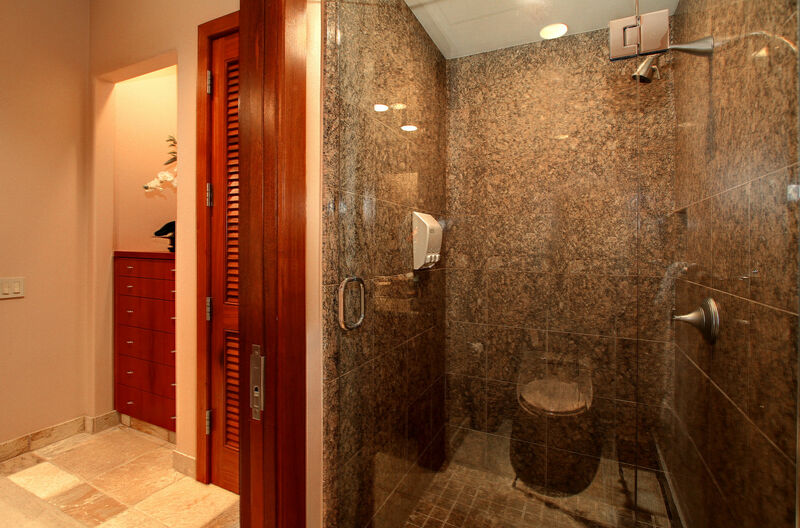 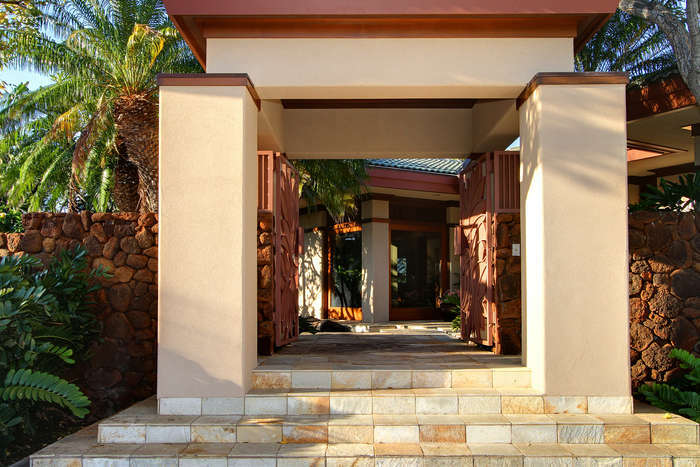 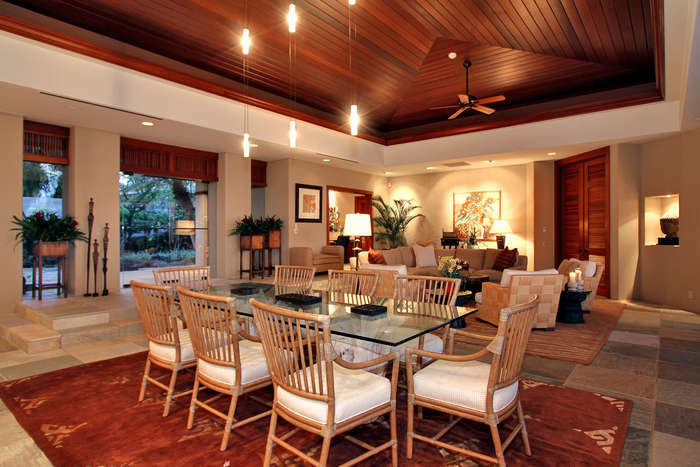 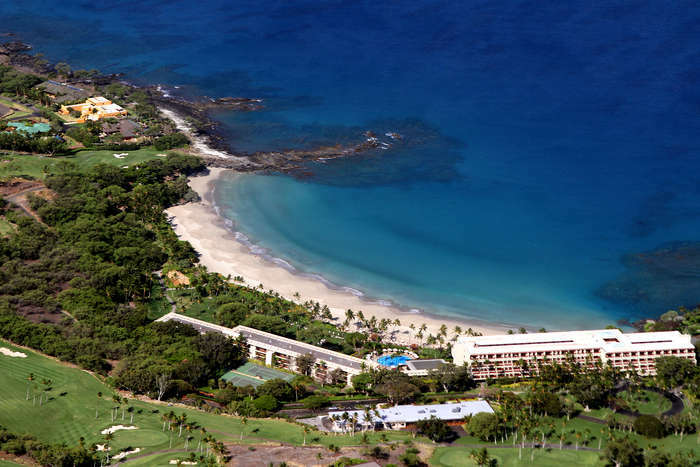 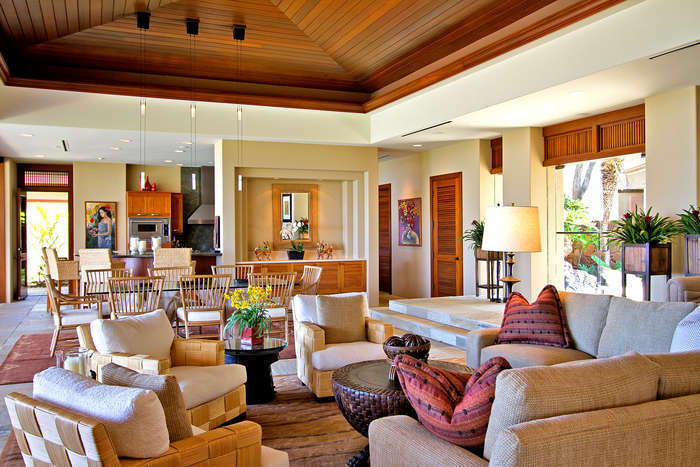 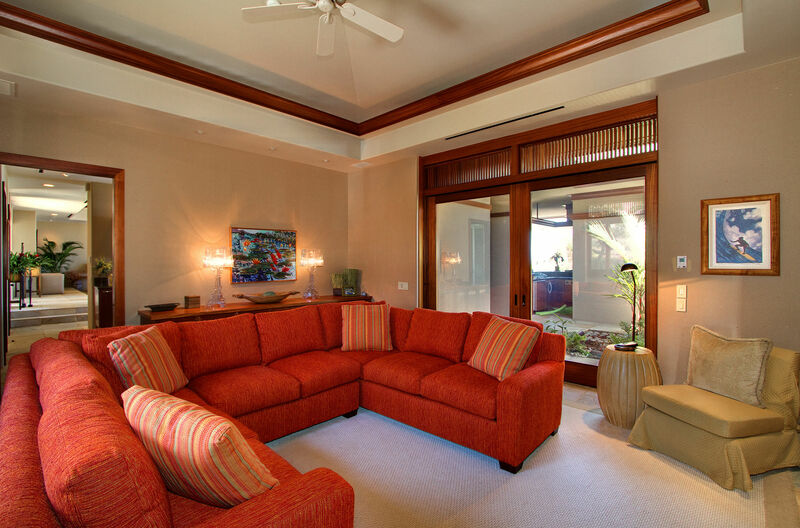 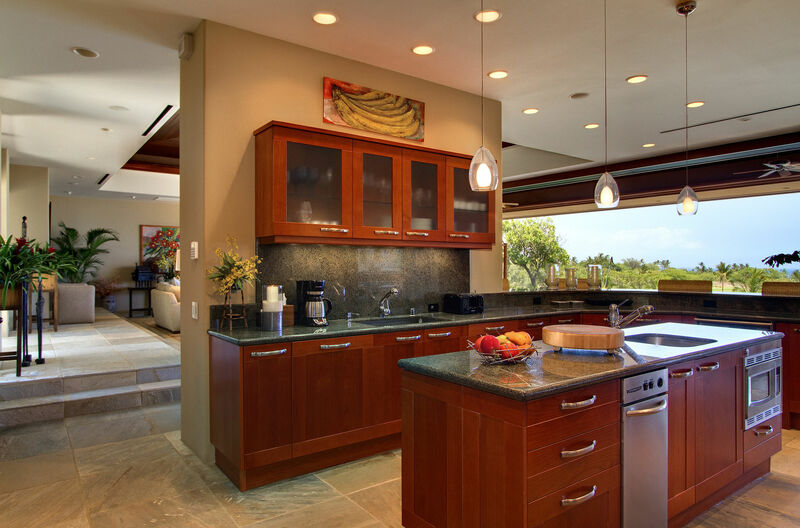 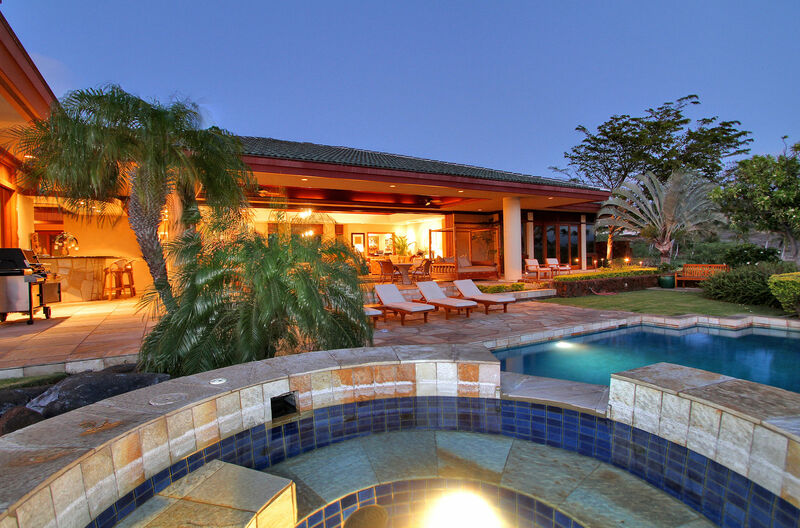 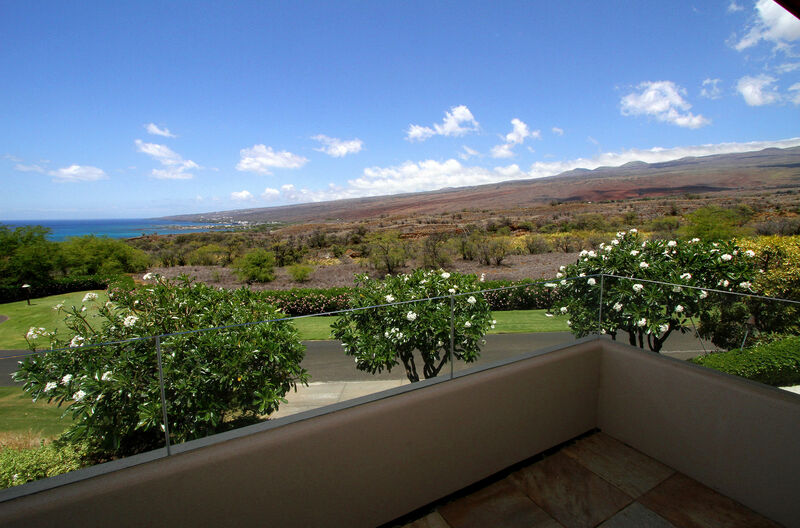 Mauna Kea Resort; the perfect luxury resort home! Comprised of top quality construction, a superb layout, tasteful decor and an exceptional site, this custom residence has it all! 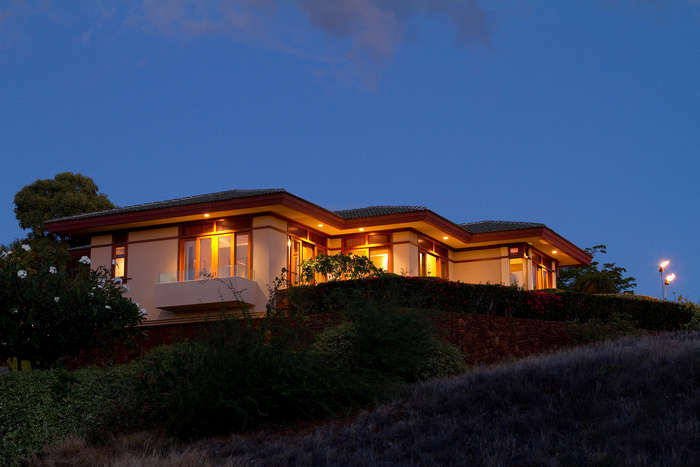 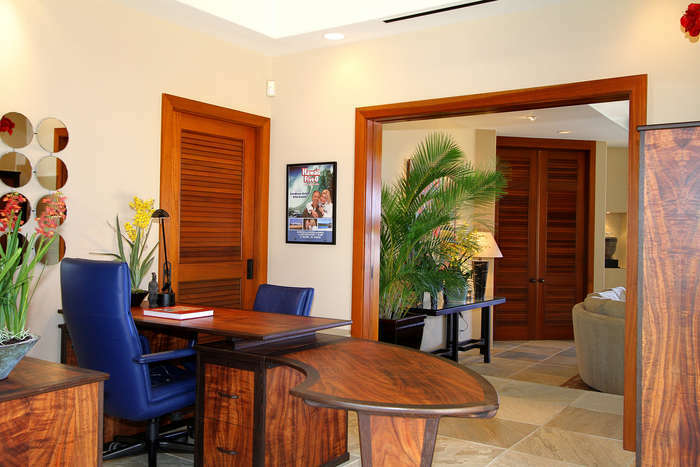 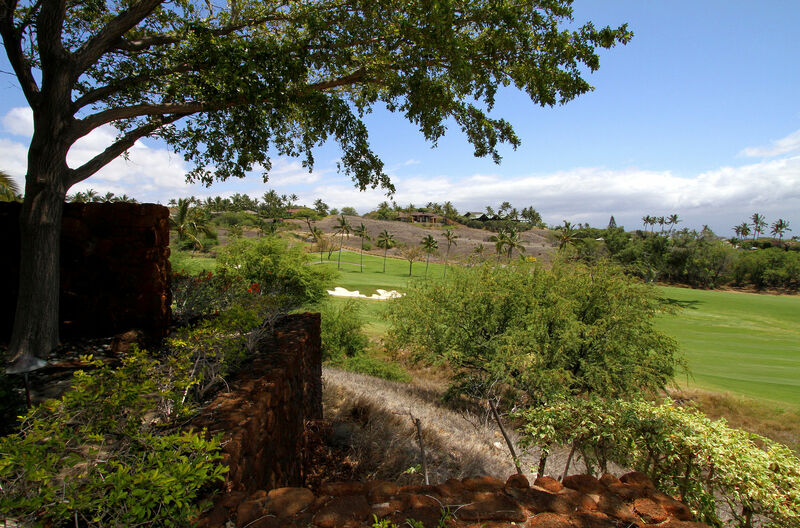 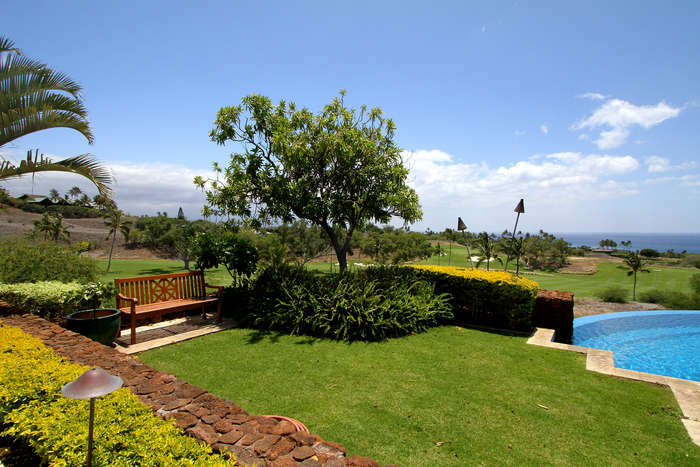 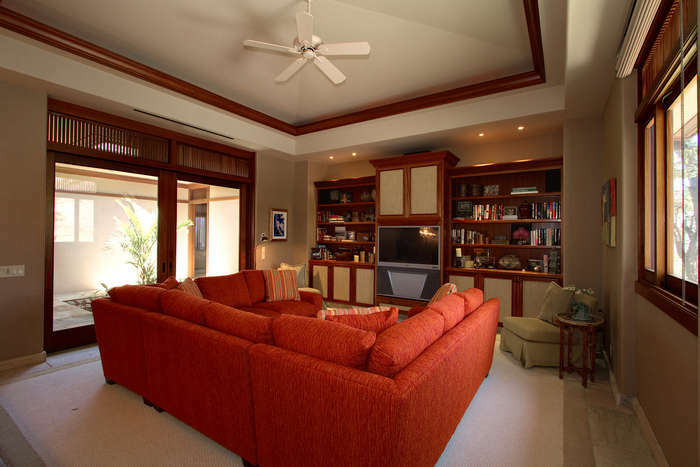 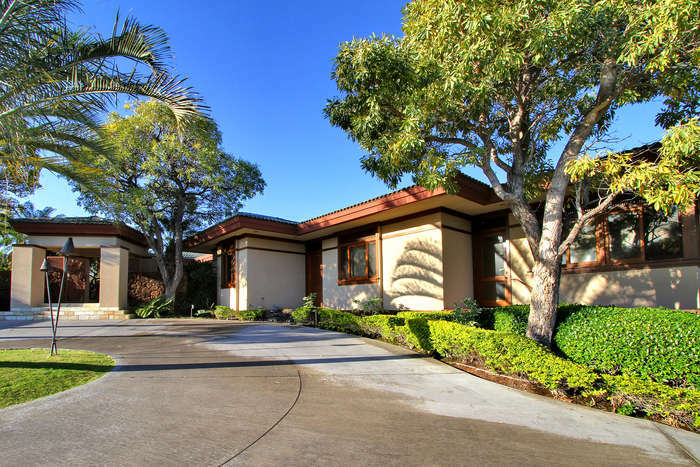 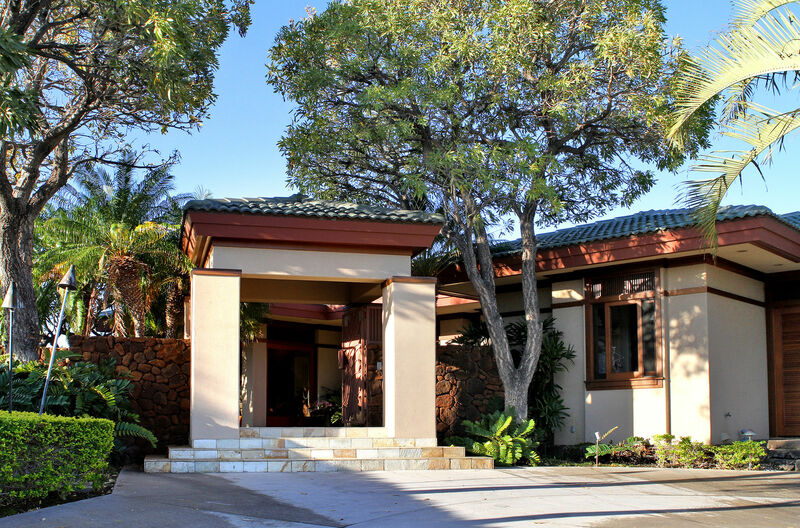 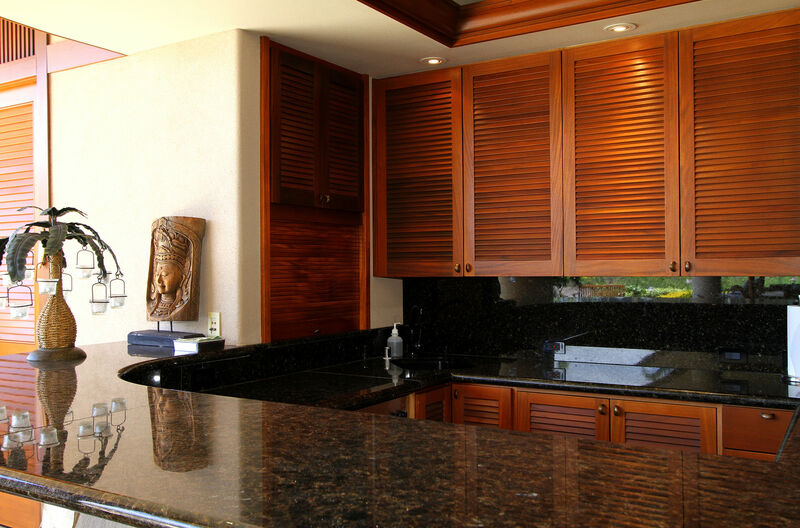 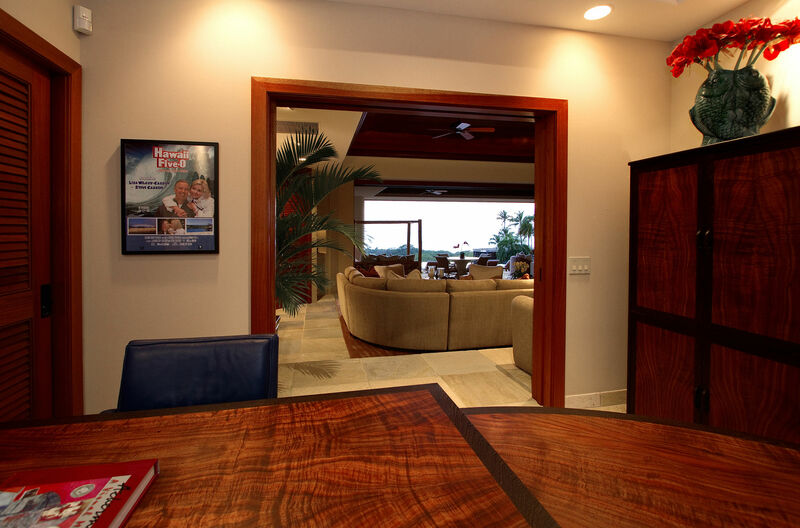 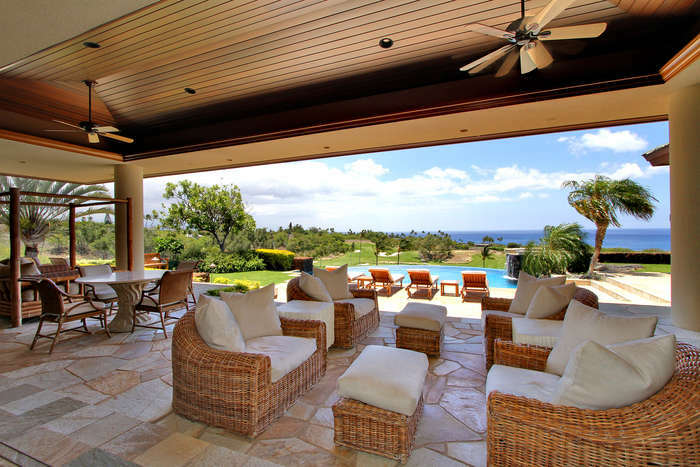 Perched on a .6 acre knoll, overlooking the fifth hole of the prestigious Mauna Kea golf course out to the ocean/sunsets, it offers 4 bedroom suites, each with its own bath, spacious media/family room, private office and large wrap around covered lanai, all within an open floor plan, making this the ideal home away from home! 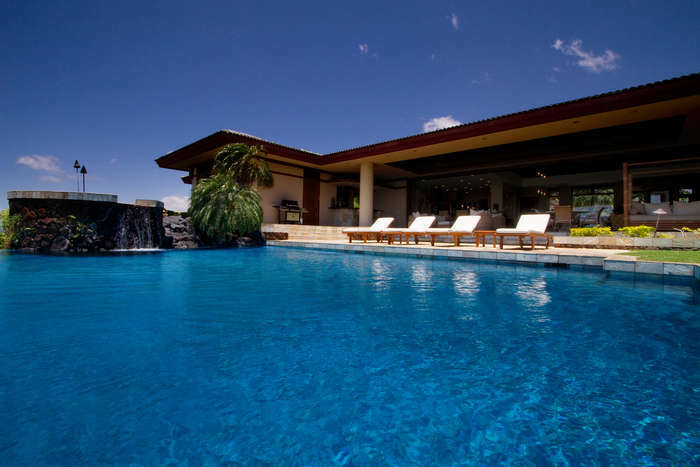 Add an infinity edge pool and custom finishes such as stone and bamboo floors, crafted Honduran mahogany doors, windows, cabinets and trim, granite countertops and top of the line appliances, making this truly a unique opportunity encompassing the best of all worlds. Being offered fully furnished with some artwork.